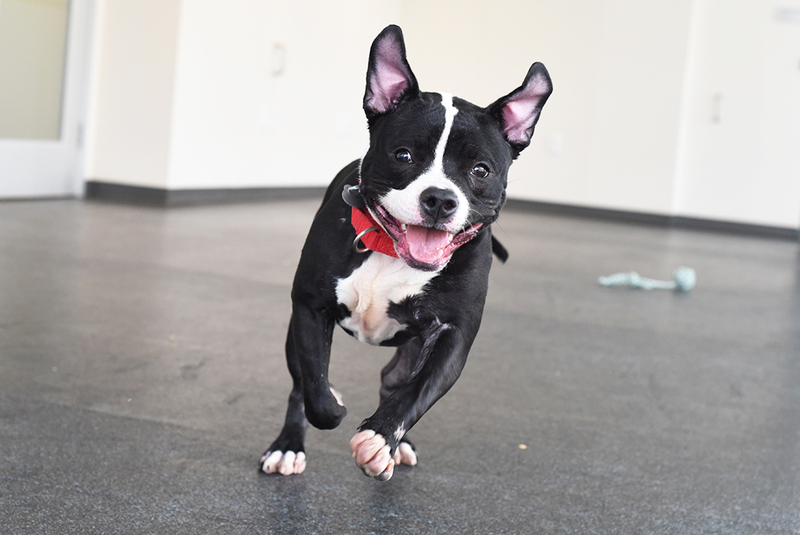 Dexter wants to add a little silliness to your life! This goofy guy is a lovable, affectionate dog looking for a permanent home. Adopt Dexter today! Big fan of: Play time with friends! 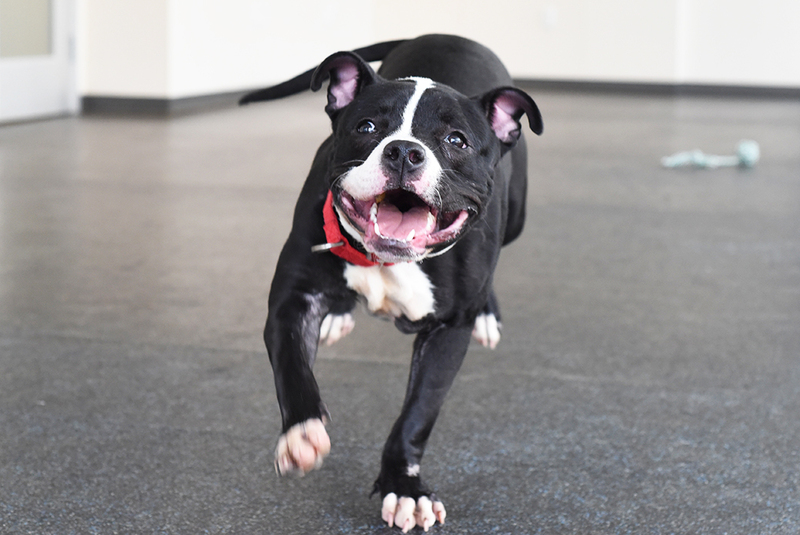 Dexter is happiest when he is surrounded by his favorite people and playing with lots of toys. This young pup loves everyone he meets. He is very social and is interested in making some new dog friends. Not a fan of: Although Dexter is very friendly, people with unusual objects like hats or canes make him a bit nervous. Special features: When out for a walk, Dexter sometimes stops to take in the sights and sounds of the big city. Dexter is an energetic dog! We highly recommend that he and his new adopter attend our obedience class so Dexter can improve his basic manners. With time and guidance, Dexter will quickly learn to only use the bathroom outside. Dream home: An active, experienced adopter who can treat this playful pup to plenty of exercise would make a great fit for Dexter. He would like to join a home with teens and up, and should meet younger children first at our Adoption Center.